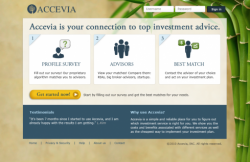 Currently I am helping advise Accevia, a SSE Labs (Stanford Incubated) start-up that connects individuals with top advisers based on your risk profile. It is currently in beta launch but many exciting things to come! Let me know if you want to be an early tester and will send you an invite code. Also, check out the Blog. Props to Founder Smita Saxena who I have really enjoyed working with! I interned last summer for Jill Lacorte, the CEO of Cortiglia Bags (formally LaCorte Bags) to help her launch the product to market- doing everything from writing the business plan, designing the website, finding distribution channels, marketing, etc (oh and modeling! check out the (slightly embarrassing marketing campaign poster that is now everywhere!). She is AWESOME and the bags are beautiful and I am currently still working with her post graduation- heading down to Newport Beach this weekend (August 30, 2010) to represent her at a trade show and get the bags in some more stores! I did an Independent study for Natori, a beautiful high-end lingerie and lifestyle brand by Josie Natori- an incredible women- the company is family owned and her son Ken Natori (a great guy), also a GSB grad, run marketing, biz dev and operations, advising them on the opening of their first retail store. I did the study with Professor Baba Shiv (an amazing marketing Professor at the Stanford GSB, he is a genius) and my good friend (and another genius) at the GSB, Rebecca Gomez. Gomez, a math wiz, focused on the revenue and cost forecasting and financial side and I focused on the marketing strategy and how to address consumer needs and great a stronger connection with the brand and shoppers. connect the brand with consumers. I don't miss hiding out in the Victoria's Secret fitting rooms to get observe shoppers' behavior! I did a marketing and branding project for Trefethen Wine, a family owned Vineyard in Napa with my good friends Raja Hajad, Nicky Stifle and Ashley Petterson. We created a new branding strategy for them to connect with younger consumers focusing on creating an evagalist community to market the brand through ambassadors. View the video we created here (whom biggest props go to Raja and Nicky for their awesome design talents. Also, Trefethen wine is really good, especially their chardonnay and Loren Trefethen is awesome- go to the winery and ask for him- their story is amazing! Again some seriously amateur film making, I am definitely not a film producer despite my love of my flip and imovie! Really interesting to analyze the book publishing industry though and how they can adjust to the e-reader and online book emerging industries.